There’s a famous essay by Roland Barthes about separating an author from his work and on the futility of using the author’s identity to try to derive a single definitive meaning for a text. With Bowie, the persona was always a facet of the work, and an important one, but one that only furthered its enigma. Where some artists seem slaves to such direct analysis of their work, Bowie transcended it. Bowie’s influence is everywhere, from the obvious trends in music and fashion to the art styles of movies, comics and video games, to even his direct influence in contemporary culture and mainstream acceptance of once-othered groups. Time and time again, Bowie pushed at the boundaries of what human culture had achieved. The world today is a far better place due to his work. His loss is tragic and heartbreaking, but his work and is influence are immortal. 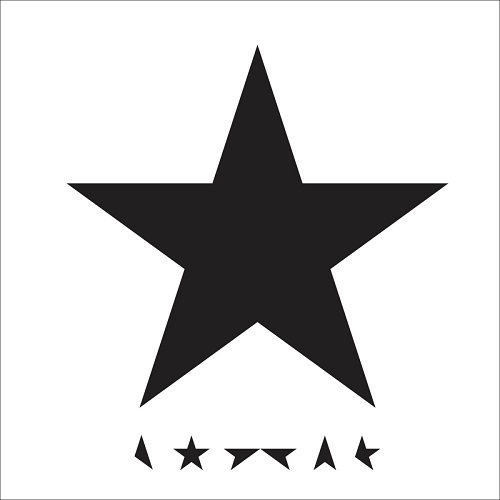 Blackstar, his twenty-fifth and final album, is new territory even for him. This is a jazz album, not rock, and an excellent one at that. The music is challenging and more than deep enough to reward you for it. The variations laid down by his band are deep and interesting. The lyrics are cryptic, but highly evocative. The experience as a whole is direct and unsettling, but distinctly beautiful. His use of the form is deft and innovative, bringing in rock and spacey-electronica into a rich jazz foundation to create a work as claustrophobic as a dungeon and as difficult to escape. His inversions of the form are fascinating. The sax solo of “Lazarus” centers the album. The slow, mournful chant of “I Can’t Give Everything Away” is cleverly undercut by the whimsical jazz strains underneath it and the guitar solo that provides much of the real variation in the song. The clear horn opening of “Dollar Days” shifts smoothly into a traditional rock ballad. This is an intelligent album and courageous enough to revel in it. Excellent, challenging and novel, Blackstar is the swan song Bowie’s career deserves. I highly recommend it. Adding an honorable mention to lists like this is cheating, but I couldn’t write this without touching on this song. “Valentine’s Day” was both heartfelt and topical. With barely anything at all, Bowie manages to paint a complex picture of the eponymous Valentine. His description of the planned school shooting is extremely personal and that lets you fill in what pushed Valentine this far. The song itself shifts from tender as he goes over his treasured plans and power trips to frenetic as he is about to take action. Frightening and remarkable, this song is David Bowie as good as he’s ever been. Why he chose not to put this in Nothing Was The Same is beyond me, but album complaints aside, this is just really good rap. At the end of the day, this boy has talent. You can read our review of his full album here. So, CHVRCHES have finally arrived. Now that they’re here, I was disappointed by their album, but had a ton of fun at their concert. I like intelligent pop with female singers, and this covers that in spades. This song pulls off the same sound that made me fall in love The Knife and Lauren Mayberry’s voice is glorious. Besides, that chorus just can not be resisted. This is dark, beautiful and glorious to listen to. Her story of self-confidence through control over her lover is splendid and made much more so by the motif of lies. This is perfect pop. Again, album review here and concert review here. When I first heard Yeezus, it was actually “Blood on the Leaves” that straight up convinced me that Kanye West was still on top of the game. It has been a while though and “New Slaves” is the song I most return to. The menace on that opening beat is palpable. You could cut a block out of it with a knife and use its inner fire to heat a home for a month. And that’s before Kanye opens his mouth. This song is rage. This is pure in the way so few songs are. This is Kanye upset and rightfully so and calling out things that are wrong. You shouldn’t have to be a god to do this, but of all of the players this year, no one else has proven godhood as convincingly. Everything I’ve said until now though does nothing but diminish the song. Rage and menace is worthless if not as crafted as this song. It may have been forged in a crucible instead of handwoven on an ancestral loom, but this is masterwork nonetheless. Album review, link. You’ve got this by now. The Savages’ debut album was one of the most intense things that I heard this year. There are very few albums that affect me so deeply that I need to carefully monitor when and how much I listen to it. Silence Yourself acts on me the way Unknown Pleasures does, and that is a very high bar to reach. Songs like “She Will” can absolutely break me. Jehnny Beth is scathing and confident in her takedown of gender roles. Although takedown is far too mild a word for this song. Evisceration is much more apt. Fay Milton’s drumming is primal and the guitar and bass work could be a song in themselves. These individual points are meaningless though because their sum is so much more. Everything fits in, everything works together and as a listener all you can do is what it says. This picks you up and hurls you where it wishes. That repeated refrain of the title at the song end is far to commanding to ignore. This is the kind of song that you need to sit alone in perfect silence and breathe after. You can still hear it though. You’ll never really escape it. Let’s be clear about this. No matter what the title may say, this is K.Dot’s song. I haven’t seen a song been snatched quite so hard since a young Eminem killed Jay-Z in his prime on “Renegade“. The other verses are fine, but I’m not even going to go over them. Kendrick Lamar has put it down with this song. Rap is going to change because of this and with it music and with that society. The world has moved and his verse is what did it. Let’s start with the easy part to talk about. He just claimed both coasts. With one hand, no less. He name-dropped everyone. Even people performing on this very song weren’t safe from him. Enough nice-guy rap, things are going to go hard again and Kendrick has brought the golden age back. Now, let’s get to the song. Kendrick’s flow is still impossible. He rides this beat so hard it dies the moment he gets off it. Honestly, its heart probably stopped beating minutes before and K.Dot pushed it anyway. That moment when in the middle of calling out competition he takes a breath because the list is so long, that’s as much of a statement of confidence as wearing the crown. Don’t even talk to me about the replies. The mic was dropped with that verse and not even Thor has the ability to pick it back up. We’re done. David Bowie shocked everyone by releasing The Next Day, his first album after a decade of retirement with no advance publicity. What further shocked us was how incredible his return is. A decade has allowed us to forget just how good David Bowie can be and his latest album serves as a stronger reminder than any perusal of his old work ever could. Every song in the album is strong, often verging on spectacular, and despite the album being filled to the brim with references to his old work each song feels entirely new. Much has been said of how easily Bowie adapts to the times, and the meme-like adaptation of Heroes that serves as this album’s cover is no exception, but what is often lost in the noise is how good his music can be. There doesn’t seem to be a wrong note in this album and songs like The Stars (Are Out Tonight), How Does The Grass Grow and especially Valentine’s Day are exceptional. Bowie has left behind a music legacy that very few others can match and with The Next Day, not only does he evoke the masterpieces that have come before, but adds another work of art to stand alongside them. Excellent thought the music is, the content of the album is also worth bringing up. Topical in places like Valentine’s Day, How Does the Grass Grow and even the sixties-referencing I’d Rather Be High and more inward-looking on The Stars (Are Out Tonight) and The Next Day, Bowie reminds us why he is respected not only as a musician, but as an intellectual force. Diverse and witty, Bowie walks across us across a fascinating landscape. Although The Next Day is not quite of the standard of say, Ziggy Stardust, this is nevertheless a triumphant return for David Bowie and hopefully a long-lived one.